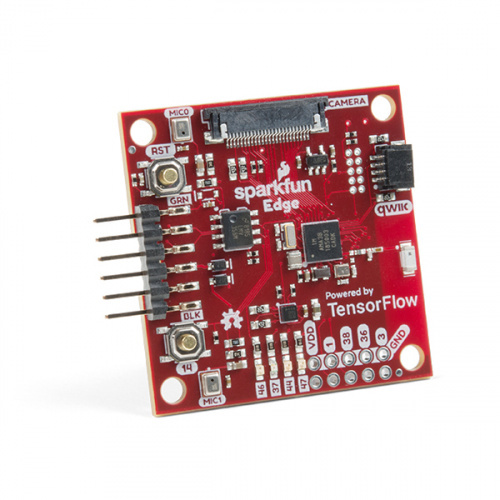 The SparkFun Edge Development Board is designed to disconnect artificial intelligence capabilities -- such as voice or image recognition -- from the cloud. The idea of performing these computations in a decentralized location (or "edge") is how the board gets its name, but the Ambiq Apollo3 microcontroller is how the Edge gets its power. The Apollo3 is an ultra-low power microcontroller that features an Arm Cortex-M4 core running at 48 MHz but uses only 6 microamps per megahertz. Such a high computational to electrical power ratio can enable machine learning features even in battery powered IoT devices. The Apollo3 doesn't yet have the convenience of support in Arduino, so our goal for this tutorial is to set up a tool-chain that will allow you to start programming your board. To follow along with this tutorial, you will need the following materials. You may not need everything, depending on what you have. Add it to your cart, read through the guide, and adjust the cart as necessary.